DigitalJ workshops have been instrumental in bringing our schools together and has given them a forum for joint learning and collaboration." 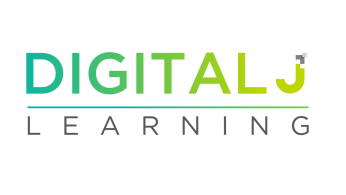 DigitalJLearning works with local funders and community agencies to help schools develop knowledge and capacity to personalize student learning and integrate technology resources that are aligned to desired learning outcomes. Through a DigitalJ partnership, over the course of a one-year or multi-year program, schools can shift to a deep and meaningful integration of technology, including the use of blended learning models, without overextending already strained resources. DigitalJ leverages a network of experts to help guide schools through the process, building capacity for sustaining effective models of education innovation. Please contact Tatyana Dvorkin, Director, DigitalJLearning, to explore how your community might benefit from a DigitalJ partnership. By partnering with schools and communities throughout North America, we bring the experience and power of a national network to supporting local educators. The specific goals and timelines for each partnership are customized to the community and educators involved, but share a focus on meaningfully integrating technology to support student learning. A big part of this work often involves blended learning, a natural pathway to personalization and student autonomy. As a JBlend partner, you'll benefit from exciting customized experiences to transform your teaching through..
school site visits, and interviews with educators and administrators. thorough school technology needs assessment. strategic planning involving all of the school’s stakeholder groups. professional learning through engaging in-person and online sessions with our EdTech experts. effective, ongoing teacher coaching & consulting in support of each school’s work. development of a community of practice with educators from local day schools. participation in guided site visits of other schools to share and learn from one another. school stakeholders will become aware of educational technology options and solutions that exist and be able to evaluate their potential success in achieving classroom learning goals. educators will have a strategic plan to pilot and ensure successful implementation of educational technology. teachers will become comfortable with evaluating new tools and learning to use them meaningfully in class. administrators will gain a solid understanding of how to best support their teachers in a school change initiative. participants will view technology through the lens of Jewish culture and understand its role in a Jewish school environment. schools within the community will form a strong working relationship with each other. "The JBlend Boston Initiative has brought together leaders from across the Boston area day schools to learn together and think creatively about how to improve the practice of teaching and learning and to harness technology to engage each student to meet his or her potential. The initiative has helped educators and school administrators across our schools to develop the confidence to take risks and to use data in new ways for impactful student assessment. DigitalJ workshops have been instrumental in bringing our schools together and has given them a forum for joint learning and collaboration." "As we began to design and imagine a comprehensive change process around personalized and blended learning, we realized we need to invite in expertise and knowledge that we had yet to build...DigitalJ served not only to support our school leaders in learning the foundational components and pedagogy of personalized and blended learning, but it also served to support our capacity as community educational leaders to grow our own knowledge and expertise. The workshops and coaching during the first two years for school leadership teams set a solid stage for our community and have allowed JBlend Miami to continue to flourish and grow." Contact Tatyana Dvorkin, Director, DigitalJLearning, to explore how your community might benefit from a DigitalJ Partnership.